Iowa has choices: Keep giving millions to companies that don’t pay Iowa state income tax — OR add 1 percent in school aid. IOWA CITY, Iowa (Feb. 15, 2016) — A lucrative tax subsidy is providing as much in checks to companies that don’t pay income tax as the state could use to pay for 1 percent in state aid to schools. A new annual report from the Department of Revenue outlines the use of the Research Activities Credit (RAC), which in 2015 provided $42.1 million — about the cost of an additional percentage point in school aid — to companies that paid no state income tax. Most of that went to very large companies. Claims by 248 companies totaled $50.1 million for the RAC and the related supplemental RAC for which some claimants are eligible. Of those, 186 (75 percent) are companies that not only owed no state corporate income tax after applying the credit, but received state checks in return. Eighty-four percent of the tax credits were paid as checks to the companies. Very large claimants — companies with over $500,000 in RAC claims — had at least 85 percent of those checks ($35.8 million) while paying no income tax. 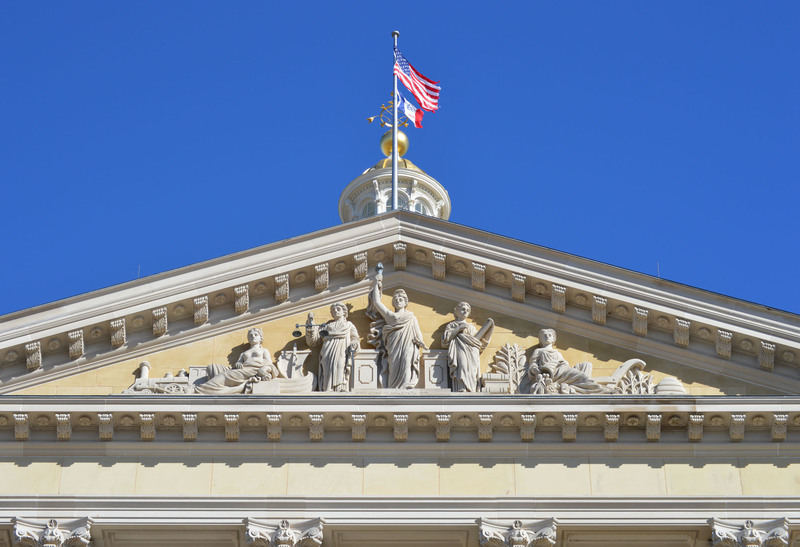 “This spending outside the budget process is distorting the choices now on the table as state lawmakers consider what is available for schools, clean water, human services and public safety,” said Mike Owen, executive director of the nonpartisan Iowa Policy Project. Overall, the credit program cost $57.1 million in calendar year 2015, with $50.1 million of that in claims by corporations and the rest by individuals. The credit is refundable, which means that if a company has more tax credits available than it owes in taxes, the state makes a payment for the difference. These so-called “refunds” — not of taxes owed but of credits in excess of taxes owed — accounted for 84 percent of all of the corporate research credits in 2015, according to the new report from the Department of Revenue. An IFP report last month showed that Department of Revenue forecasts indicate business tax breaks will grow by 13 percent from this budget year to the next, even though the debate over school aid focuses on numbers between 2 percent and 4 percent. According to the Iowa Association of School Boards, each percentage point increase in Supplemental State Aid (SSA), costs about $41 million to $43 million. “There is at least a legitimate question, one that lawmakers are refusing to consider, of why large, profitable corporations do not have to defend these millions of dollars in tax breaks and subsidies, when teachers and children’s advocates are going hat in hand to the Capitol for enough to keep up with basic costs,” Owen said. Posted February 12th, 2015 to Budget, Corporate Taxes, Loopholes and Giveaways, News Releases, Tax Credits, Taxes, Who Pays Taxes in Iowa? IOWA CITY, Iowa (Feb. 11, 2015) — More companies are benefiting from a lucrative tax subsidy that permits large, profitable corporations to get checks from the state without paying any Iowa income tax. The latest annual report from the Department of Revenue on the use of the Research Activities Credit (RAC) shows that 248 companies claimed $51 million from the program in 2014, one-third more than the highest number of companies in the last five years. Most of the credit claims — $34.8 million, or 68 percent — were paid out as checks, not as tax reductions. “Most notable is that Iowa continues to give a lot of money to companies that aren’t paying income tax. 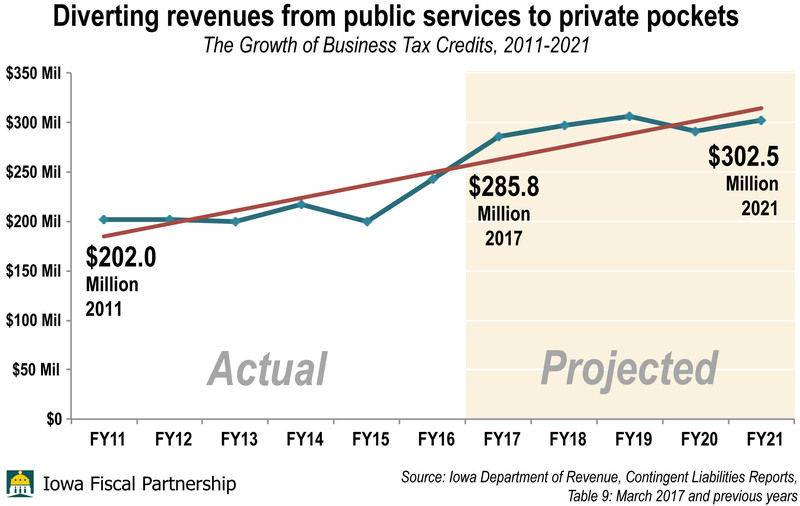 There were 181 companies that received RAC checks from the state because their tax credits exceeded their income tax liability,” said Mike Owen, executive director of the nonpartisan Iowa Policy Project in Iowa City, part of the Iowa Fiscal Partnership. — Only 16 companies — or 6.5 percent — claimed 83 percent of the benefits and at least 75 percent of the checks. — Those 16 companies each had at least $500,000 in claims, totaling over $42 million in 2014. — The top five companies benefiting from the credit have been the largest beneficiaries over the last five years: Rockwell Collins, Deere & Co., Dupont, John Deere Construction and Monsanto. “Those are highly profitable companies. We need to be asking whether it makes sense, when school budgets are tight and enforcement of environmental and workplace laws are weak, to be subsidizing these businesses to do research that they already would have to do, and can afford to do on their own,” Owen said. Owen noted a special tax credit review panel appointed in 2009 came back in 2010 with many recommendations to curtail spending on business tax credits — including elimination of the so-called “refunds” of the research credit. Rockwell Collins was the biggest corporate beneficiary in 2014, with $11.7 million in claims, followed by Deere at $9.4 million and Dupont at almost $6.9 million. “Careful analysis of the report shows that at least two of the top three companies received at least some of their benefits without paying any income tax,” Owen said. The report is available on the Iowa Department of Revenue website at https://tax.iowa.gov/report/Reports?combine=Research%20Activities. Editor’s Note: This release was revised on Thursday, Feb. 12, to clarify that the top 16 claimants received 83 percent of the total benefits and at least 75 percent of the benefits that were paid as checks. The original Feb. 11 release stated that those firms had 75 percent of the benefits.